Horse Crossing Rescue/Sanctuary, a non-profit organization, focuses on the abused, abandoned, neglected and ‘untamables’… including Mustangs. 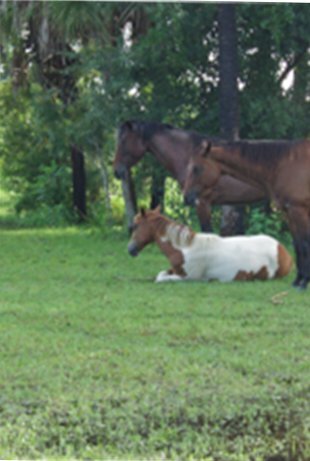 The horses at our ranch have suffered through years in captivity and other rescues, trainers and owners, all who have given up on them.The difference between playing and working with these horses and domesticated horses is similar to the difference between training a domesticated dog verses a wild wolf. 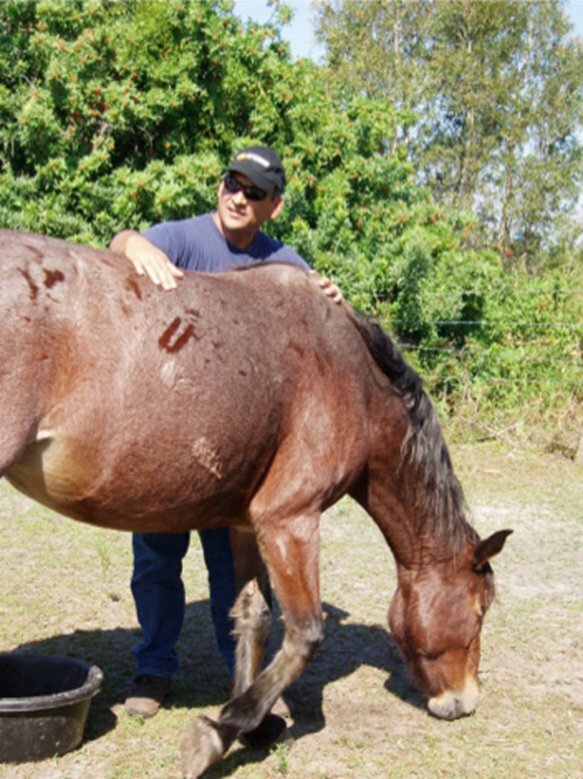 Horse Crossing Rescue/Sanctuary Develops horses at their own pace. 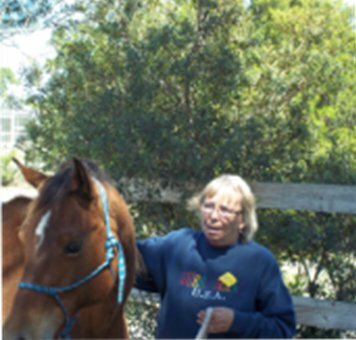 Seeing and respecting their fears, we overcome this with strategies that foster communication between horse and human. Nikki, an eighteen year old Mustang from the Sierra Nevadas, Nevada. She was captured as a seven year old and in captivity over eight years. Nikki had been branded three times, abused and scared to catatonic of humans. After slowly and patiently working with her for three years, she trusted us and allowed a halter and lead rope on her! Unfortunately, Nikki literally died of fright from the sound of nearby fireworks on July 5th. Raina, another Mustang from the Sierras, Devil’s Garden, California, still had the tag on her neck when she came to us. After eight months of patient communication and encouragement, we are riding her. Trinity came to us biting, kicking, dangerous and 'untrainable'. Beaten with a 2x4, 'broken' to ride, she did not trust any human. Now, feminine and gentle, she is riding with grace and trust.